Westminster Abbey, one of Britain’s greatest medieval buildings and among the best-known churches in the world, has a history stretching back over a thousand years. Founded as a Benedictine monastery in the mid-tenth century and with the shrine of its principal royal founder, St Edward the Confessor (died 1066), at its heart, it is also the coronation church where monarchs have been crowned amid great splendour since 1066. Neither a cathedral nor a parish church, Westminster Abbey was established as a ‘Royal Peculiar’ in 1560 by Queen Elizabeth I. It means that the Abbey is outside the jurisdiction and responsibility of the Church of England and that the Abbey receives no regular funding from the Crown, the Church of England or the government. The present church, begun by Henry III in 1245 is a treasure house of architectural and artistic achievement on which each succeeding century has left its mark. 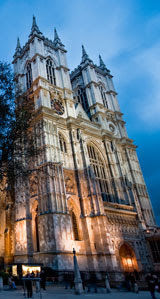 Fifteen out of the thirty-nine sovereigns crowned in Westminster Abbey also lie buried within its walls. Their medieval and Renaissance tombs, though among the most important in Europe, form only a small part of the extraordinary collection of gravestones, memorials and monumental sculpture for which the Abbey has long been famous. Many of the significant individuals in British history are remembered here: royalty and aristocracy, clergy and politicians, writers, scientists and musicians. They include Geoffrey Chaucer, Sir Isaac Newton, Charles Dickens, George Frederick Handel and William Gladstone. 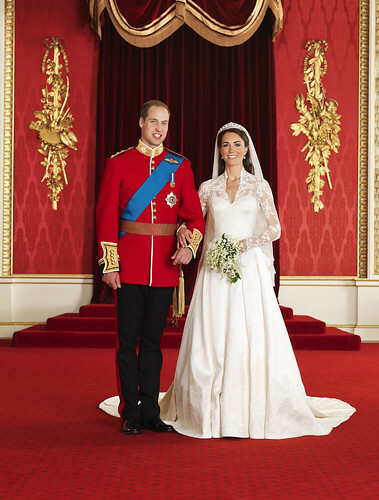 Fifteen royal weddings have taken place in Westminster Abbey since King Henry I and Princess Matilda of Scotland married on 11 November 1100. They include HM The Queen and Lieutenant Philip Mountbatten (20 November 1947), King George VI and Lady Elizabeth Bowes later to become the Queen Mother (26 April 1923), Princess Margaret and Antony Armstrong-Jones (6 May 1960), Prince Andrew and Sarah Ferguson (23 July 1986) and Princess Anne and Captain Mark Phillips (14 November 1973). More than a million people visit Westminster Abbey every year and several hundred thousand come to worship at its daily services. The Grave of the Unknown Warrior is at the west end of the nave. It is a black marble gravestone encircled by red poppies with an inscription in brass letters which commemorates the many thousands killed in the 1914-18 war who have no grave. The grave contains the remains of an unidentified serviceman taken from the battlefields of the First World War. The idea came from an army chaplain, David Railton, who had noticed in a garden at Armentieres a grave with a rough cross bearing the words ‘An Unknown British Solider’. In the aftermath of the war the grave became especially symbolic to the bereaved whose husbands, fathers or sons had no known burial place. The Unknown Warrior was buried on 11 November 1920 in the presence of King George V and other members of the Royal Family, the Prime Minister, members of the Cabinet and the chiefs of the armed forces. A hundred holders of the Victoria Cross formed a guard of honour through the nave. The grave contains soil from France and the Union Flag, known as ‘the Padre’s Flag’, which covered the coffin on its journey from France, hangs in St George’s Chapel. It was presented in 1921 by David Railton, who had used it as a coffin pall and altar cloth during his war service. Other artefacts associated with the Unknown Warrior are near by: the ship’s bell from HMS Verdun, the destroyer that brought the Warrior’s body to England, was presented in 1990 and hangs on a pillar to the south; on a pillar to the north hangs the Congressional Medal of Honor, conferred by the USA in 1921. At the heart of Henry III’s rebuilding of Westminster Abbey was the magnificent shrine of St Edward the Confessor, whose patronage of the monastery was largely responsible for its wealth and importance. The shrine stands in its own chapel behind the high altar and occupies the lofty, apsidal east end of the Gothic church. Its importance is emphasised architecturally by the processional ambulatory surrounding it and by the radiating chapels beyond. The original lavish decoration included a Cosmati-work pavement, laid at the same time as the great pavement in the sacrarium, though in a different style. Originally the shrine could be seen from the crossing and quire, and only when the altar screen was built in the mid-fifteenth century did St Edward’s Chapel become the enclosed space it is today. Saints’ shrines were found in many medieval churches, but in Britain most were destroyed at the Reformation, and Edward is the only major English saint whose body still rests in its medieval shrine. Henry III’s devotion to the Confessor led him to choose burial close to the shrine. Several of his successors followed his example and five kings (Henry III, Edward I, Edward III, Richard II and Henry V) and four queens (Eleanor, Consort of Edward I, Philippa of Hainault, Anne of Bohemia and Catherine de Valois) now lie here in some of the most artistically important medieval tombs in the country. The Shrine was in medieval times an important place of pilgrimage. In recent years, some elements of pilgrimage have been restored. Twice a day, some of the Abbey’s community and visitors assemble in the Shrine for prayer, in addition to parish pilgrim groups each week and a national pilgrimage in October, an important element in the Abbey’s annual rhythm of prayer and devotion. The Cosmati Pavement is a remarkable floor in front of the High Altar, nearly 25 feet square, composed of more than 30,000 pieces of porphyry, onyx and glass, cut to different sizes and shapes and set in geometric designs. The materials were brought from Rome and assembled here in 1268 as part of the decoration of Henry III’s church. The name ‘Cosmati’ refers to the Italian family who specialised in this technique, and the idea of laying such a pavement in the Abbey probably came from Abbot Richard Ware, who went to Rome in 1258 to have his election confirmed by the pope and would have seen similar pavements in the churches there. There are thought to be only three of these pavements left in the UK, and Westminster Abbey has two of them, the one on the High Altar and the other in the Shrine of St Edward the Confessor. The third is in Canterbury, but it is a fragment and almost entirely restored – the Abbey has the only two complete pavements in their original positions and never to have been wholly re-laid. The Cosmati Pavement was covered by carpet to protect is fragile surface for most of the last 150 years. It was not visible at either HM The Queen’s wedding or her Coronation. A two-year conservation project completed in May 2010 means that it is now on permanent display to the public. St Edmund’s Chapel off the South Ambulatory is dedicated to Edmund, king of East Anglia. It has a number of monuments and floorstones, the most significant is the tomb of King Henry III’s half-brother, William de Valence, Earl of Pembroke (d. 1296). The chapel windows are plain except for three pieces of heraldic glass, placed here in 1938 which depict the three lions of England for Henry III, the red pallets of Provence for his queen, Eleanor, and the red lion rampant crowned for Richard, earl of Cornwall, Henry’s brother-in-law. The Abbey’s ten bells will be rung prior to the wedding for up to half an hour. After the service a full peal of 5,000 changes will be rung that will take in excess of three hours. Full peals are rung on the Abbey’s bells only for significant occasions. The ringers do this without a break and need to concentrate throughout. In change ringing the sequence in which the bells sound alters continually. No sequence is repeated. The peal commences and concludes with ‘rounds’, which is the ringing of the bells in order from the highest to the lowest note. A rhythmical and flowing effect is the objective. The changes to be rung are determined by ringing methods (similar to scripts or scores) which the ringers commit to memory. The Royal Wedding peal will combine two methods, London and Bristol, resulting in a peal of Spliced Surprise Royal. The conductor, while ringing one of the bells, announces frequently which method is to be followed. He also provides other instructions to achieve the peal length of 5,000 changes. Members are elected to the Westminster Abbey Company of Ringers, a voluntary group, and are able bell ringers. They come from all professions and past members of the Company have included a train driver, a school teacher and a medical consultant. The current membership includes architects, bankers, civil servants, a lawyer, IT workers, a supply chain manager and management consultants.